Returning Counselors are experienced staff members who help supervise and lead activities for a cabin of campers. They act as teammates and role models to the first-year counselors, bringing increased maturity and leadership to the counselor community while helping the newer staff thrive and grow. At least one summer of previous experience at Akita is required. Counselors must be able to hike, climb stairs, and lift at least 25 pounds. The Akita Leadership Team is a group of summer staff members who have the experience and maturity to make independent decisions about the operation of camp. This team creates a foundation and support structure for the counselors, thus allowing the counselors to carry out the mission of camp in the best way possible for the campers. Being on the leadership team sometimes involves planning, organizing, and being away from the action in a way you may not have seen as a counselor. 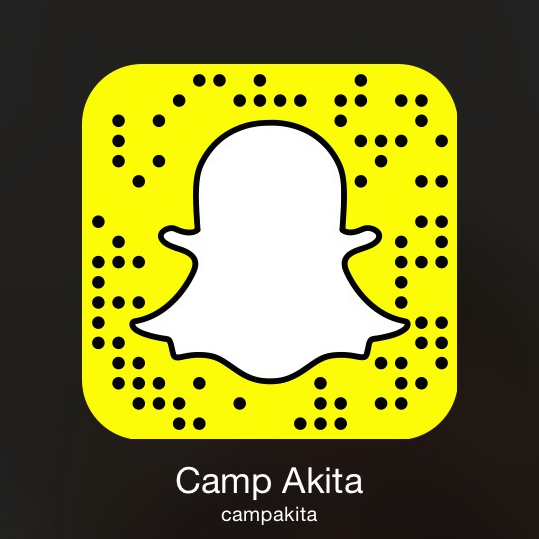 However, it is a deeply rewarding experience that is crucial to the success of the summer programs at Camp Akita. The Head Counselors are the most mature and experienced counselors at camp. They directly support the counselors by building relationships and strengthening morale within the counselor community, and by taking on tasks that help counselors focus on their campers. At least two summers of previous experience at Camp Akita are required. The L.I.F.E. Guard Leaders facilitate the L.I.F.E. Guard program by engaging participants in work projects, meal service, group discussions, and community building activities. These individuals take on essential roles as facilitators of full camp life as well as counselors to the high school participants. Program Team members create, develop, and execute the daily schedule of camp. Team members are frequently on stage preforming skits or bringing excitement to games and activities, but much of the job also takes place behind the scenes doing planning and setup work. At least one summer of previous experience at Camp Akita is required. Adventure Team members develop and lead Camp Akita's outdoor adventure activities. These include leading Akita Backcountry sessions, operating the Adventure Complex (climbing tower and giant swing), and acting as the director and head lifeguard at the waterfront. No previous Camp Akita employment is required; however, applicants must have releavant experience and skills with outdoor activities. The Videographer produces high-quality storytelling and promotional videos and pictures that remind campers of their experience and open the doors to camp for those who have never been campers before. No previous Camp Akita employment is required; however, applicants must have experience in video editing and familiarity with camera equipment. The Office Manager provides organizational and project assistance to the daily operations of camp by working closely with the directors, property staff, and administrative staff. The office manager is the point of contact for the Columbus camp offices and anyone trying to contact the staff or campers. At least one summer of previous experience at Camp Akita is required, as well as great organizational and computer skills. The employment period for returners is May 23 – August 11, 2019. This period includes a week of staff training from May 23-30, 2019. All returning staff members will receive at least one session off during the summer. Camp Akita is happy to announce that pay rates have increased for the 2019 summer season. We are also changing from paying a per session pay rate to a salary based structure. Sound confusing, hopefully the table below will help you. For demonstration purposes below, we assume a staff member is present for staff training and takes one session off during the sumer. Staff members are paid based on position and years of experience. See the following table for details. You can also earn an additional bonus for certain special certifications (read more about certification bonuses). Applications for returning staff positions will be accepted online starting October 15th until November 30th, 2018 at 11:59 pm. Selections for positions will be made by December 31, 2018. We offer Leadership positions as early as possible. This means that if you delay submitting your application, you are at risk of losing a position you want. We want to get our Leadership Team together as early as possible to start working on next summer. For questions, please contact our Columbus offices at 614.488.0681 ext. 101 or email Staff@CampAkita.org.